The commute into the city, a working lunch or even a lengthy conference call… Not to mention the fact that SaxonAir can now transport you from one of the worlds capital cities to another in this time frame. Departing the London Heliport, Battersea you will route direct Paris via the White Cliﬀs of Dover and the vast open plains of Picardy. Arriving eﬀortlessly 90 minutes later into Issy-Les-Moulineaux, Paris Heliport, just 3 miles from the Champs-Élysées. Travelling in the latest, luxury model of the Agusta 109 series, the GrandNew; capable of cruising at 175mph and carrying up to 4 passengers on a typical London-Paris sector. 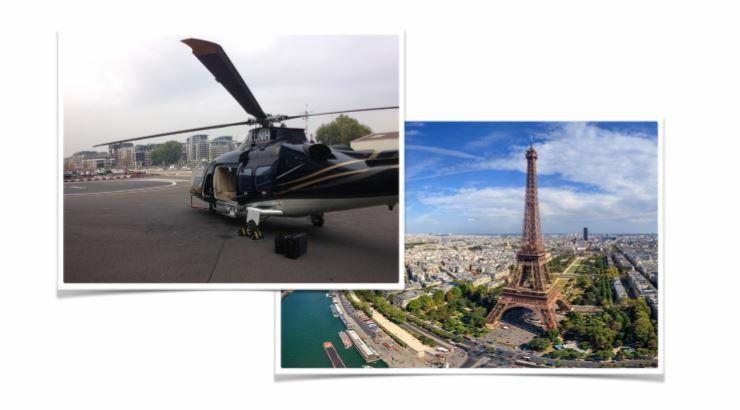 SaxonAir Helicopters enhances the experience of Northern European private air travel, through attention to detail, tailored service for each passenger, 24/7 operations staﬀ to answer any questions and help with bookings. We believe simplicity and speed are the ultimate forms of sophistication. Click here to see SaxonAir’s helicopter fleet! This year, as ever, has been a busy and successful one for SaxonAir. 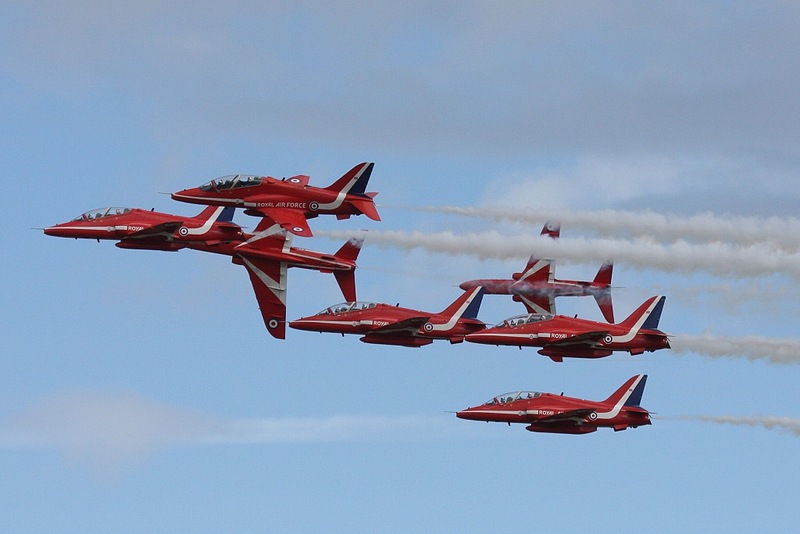 We’ve seen our 10th birthday, hosted the Red Arrows for a 5th consecutive year, expanded our fleet, flown some pretty incredible people and lastly but not least, set up some very exciting partnership’s with brand leaders. 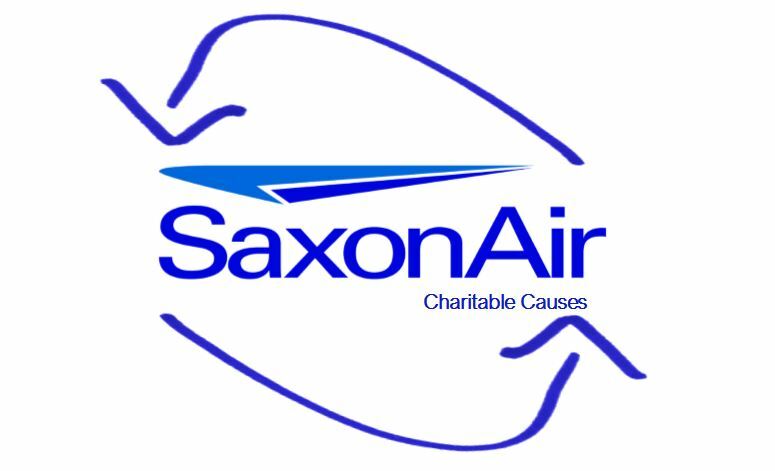 In light of our successful year, and the positivity that comes with it, SaxonAir has decided to dedicate themselves to a few, very worthy, charitable causes over the next year, in more ways than one. 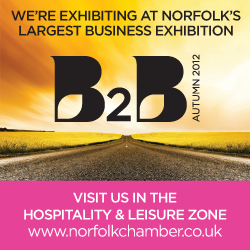 Firstly East Anglian Air Ambulance (EAAA) are not only SaxonAir’s beloved neighbours, but now a charitable partner for the 17/18 business year. 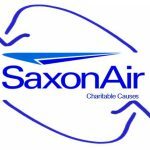 Over the past year Saxon have sponsored the EAAA polo festival, are sponsoring the ‘Only The Brave’ event and individuals from the Saxon family will be entering the race. Tommy Hollis Children’s fund is the second charitable cause SaxonAir will be supporting this year. 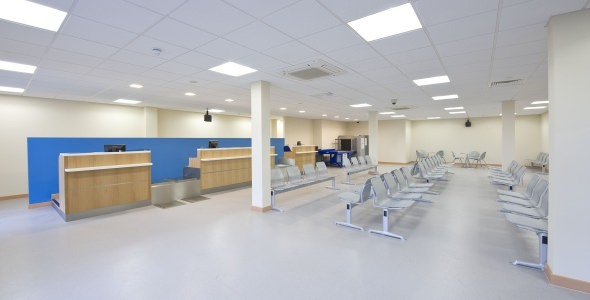 With a very close connection to the charity it truly is held fondly within in the heart of SaxonAir. Finally, Saxonair will also be partaking in various other approved charitable causes. An example of this is later on this month, where SaxonAir will be sending aid to Sierra Leone in order to help with the humanitarian crisis currently in situ. Aid will be sent not only via funds raised and toys for the children, but SaxonAir will also be sending their Head of Marketing, Jennifer Bullock, to partake in the work in Freetown, where the mudslide devastated communities in August. All in all, this year looks as though it is going to be an equally successful one, and if we can help those who need it in the process, then that is all the more reason to continue the hardwork. 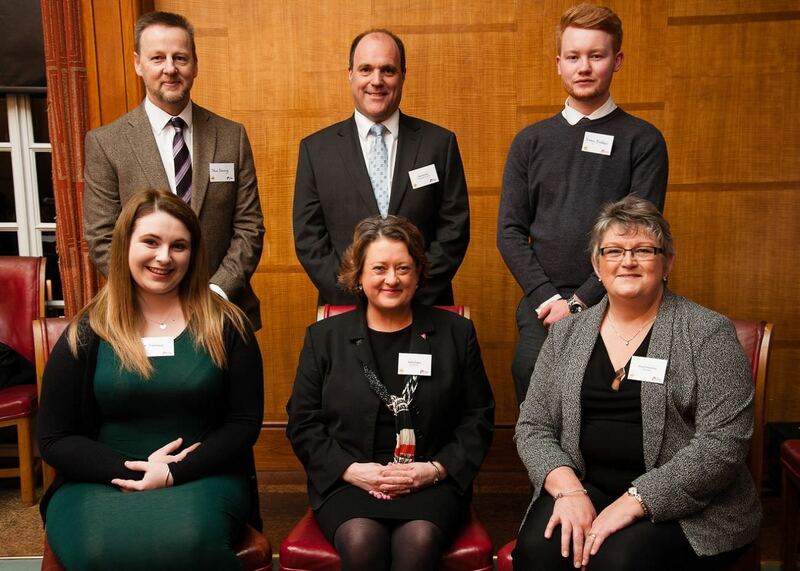 The Baltic Air Charter Association have introduced a new award category for young people at their annual award luncheon this October. 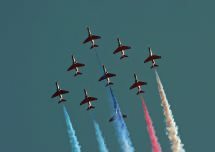 The purpose of the Young Person of the Year Award is to provide recognition for young people who have made an outstanding start to their career in aviation. The nomination criteria specified that nominees should have made a significant impact with their work but are still 25 years of age or younger. Key factors in selecting a short list were enthusiasm, positive attitude, initiative and a passion for aviation. The new Young Person of the Year Award reflects how brokers are accepting and embracing new entrants to the industry. Max Randall, Head of Ground Operations and Charter Manager at SaxonAir was shortlisted as one of the final three nominated contenders – In the relatively short time that Max has been with SaxonAir he has become a very well-known and respected industry character and an excellent ambassador for his company. SaxonAir knows that if Max is looking after a flight, it will go well and excellent customer service is guaranteed! SaxonAir are very proud to have been a part of the final nominations with Max and reward him on his continuous development and commitment in his role in the company. 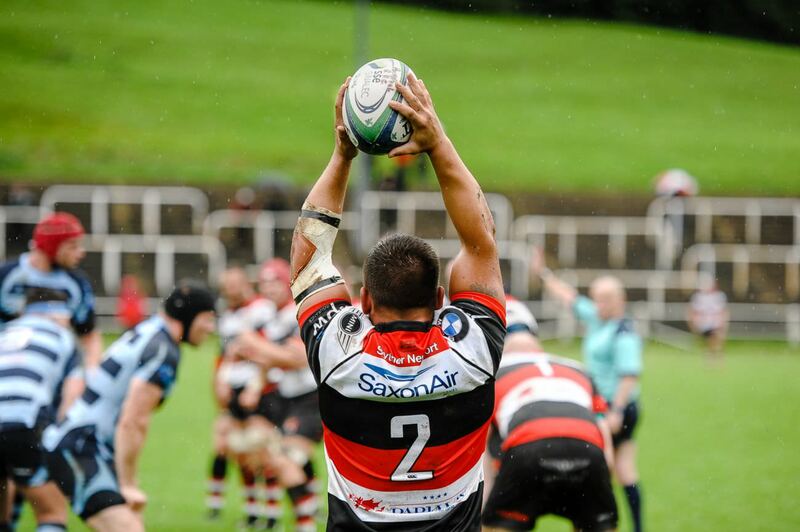 Private air charter operator, SaxonAir, is pleased to announce that it has has entered into a major commercial partnership with one of the founding clubs of the Welsh Rugby Union, Pontypool RFC, for the 2016/17 WRU National Championship campaign. The new partnership will see the SaxonAir brand being proudly displayed on the rear primary position of the iconic Pontypool RFC jersey, in addition to numerous marketing initiatives being activated to raise awareness of the aviation specialist’s modern fleet of aircraft and operating bases located throughout the United Kingdom and Europe. 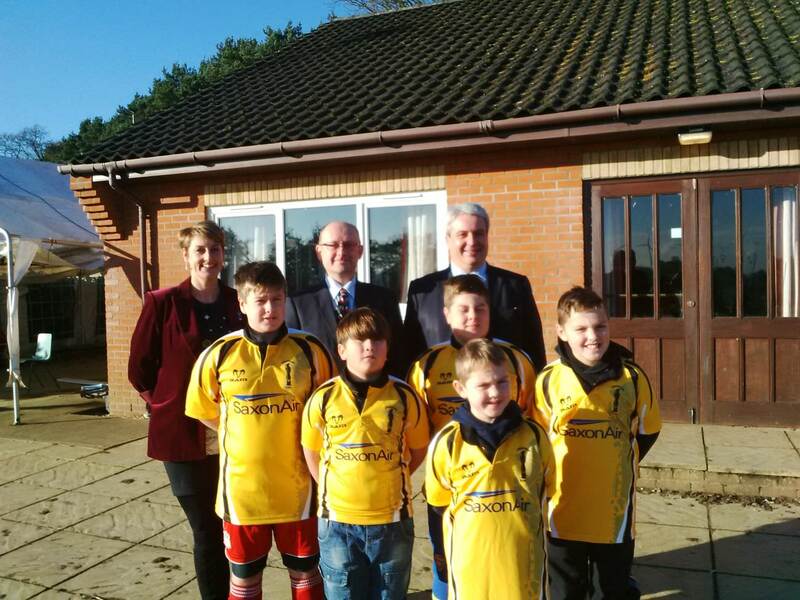 “SaxonAir is delighted to have partnered with one of the foremost historical Welsh rugby clubs in Pontypool RFC for the coming Championship campaign,” said SaxonAir’s group commercial director, Christopher Mace. “Providing a quality and convenient travel solution to sporting events all around the country forms a substantial part of our remit to our diverse client base and we view our partnership with Pontypool RFC as the perfect opportunity to showcase our ability to transport both small and large parties to their desired destination with an exceptional level of service. 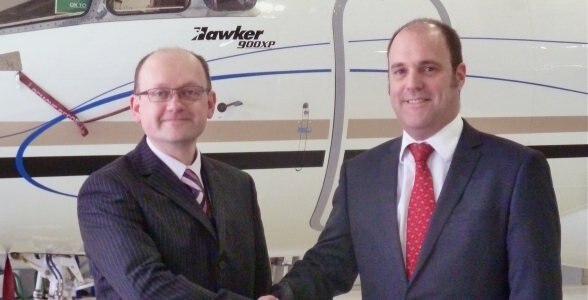 On welcoming SaxonAir to the club, Pontypool RFC chief executive officer, Ben Jeffreys, said: “We are thrilled to have aligned with one of the fastest growing private air charter operators in the United Kingdom and it is great to have SaxonAir join our commercial family. “The partnership is a demonstration of our ambition to further advance Pontypool RFC off the field as a rewarding commercial proposition for any ambitious organisation, with the central goal of enabling us to continue to achieve great things on the field. 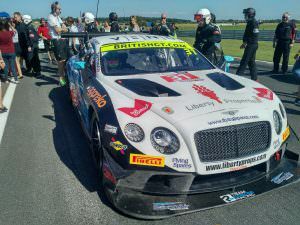 Last Sunday SaxonAir were thrilled to support British racing driver Seb Morris as he competed at Snetterton Race Circuit in the Team Parker Racing Bentley Continental GT3. 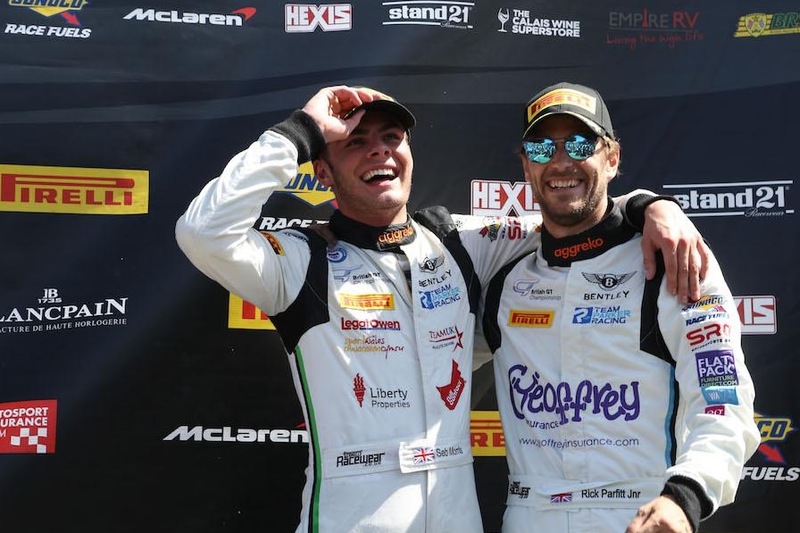 The Sunoco Whelen Challenge front-runner also goes into next month’s season finale at Donington Park third in the title race after he and team-mate Rick Parfitt Jnr raced to their fifth podium of the season. 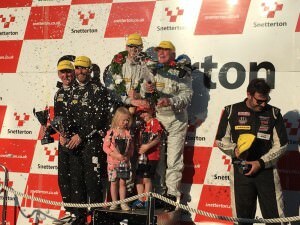 SaxonAir are looking forward to supporting Seb and will be cheering the team on at Donington Park on the 10/11 September. 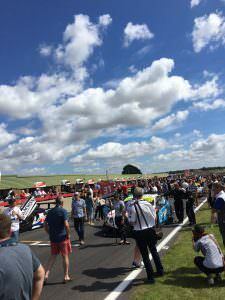 On Sunday 8th May SaxonAir were part of a very successful day with DMS Racing Team. 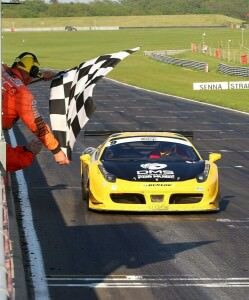 The team flew with SaxonAir Private Air Travel to the Britcar Championship at Snetterton Circuit following onto a victorious win in their Ferrari 458. 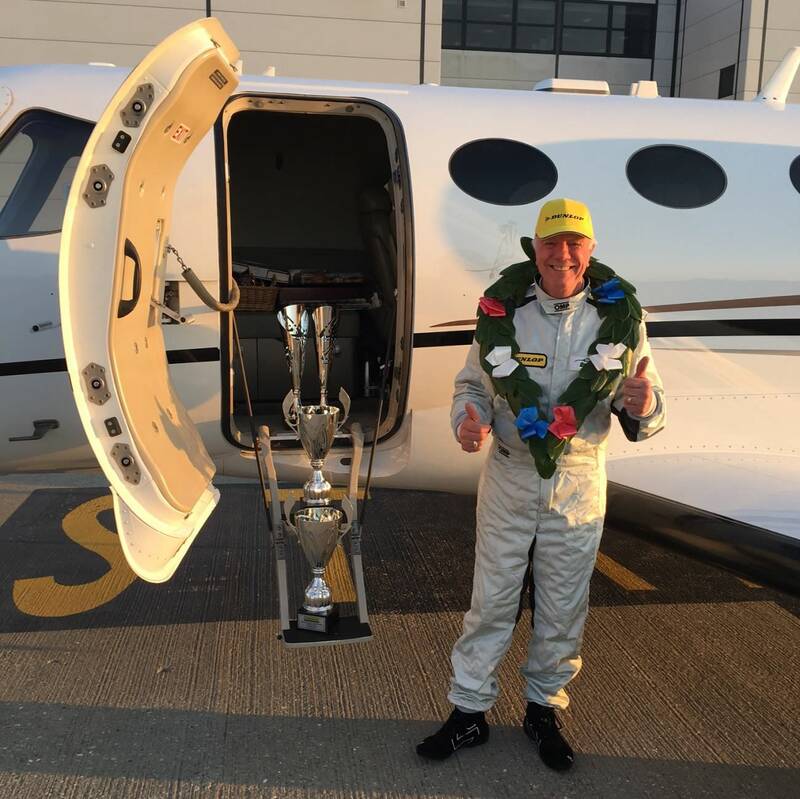 Our helicopter operations officer Edward Barrett was lucky enough to watch the 4 hour endurance race and witness the celebrations after managing the teams travel arrangements for the day. We wish the team the best of luck with the rest of the Championship! 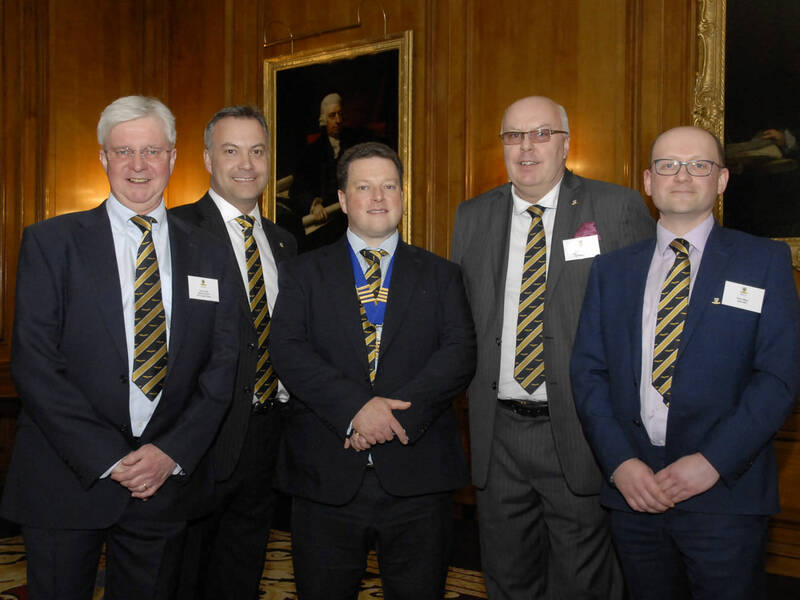 Chris Mace, SaxonAir Group Commercial Director has been appointed a member of the governing Council of the Baltic Air Charter Association (BACA). As well as Chris’s wider role within the SaxonAir group of companies including strategic business development, responsibility for all the group’s sales activities and Rotary AOC accountability he is one of the founders and shareholders of SaxonAir. Chris was appointed his position along with three other new executives following elections at the March 2016 council meeting. 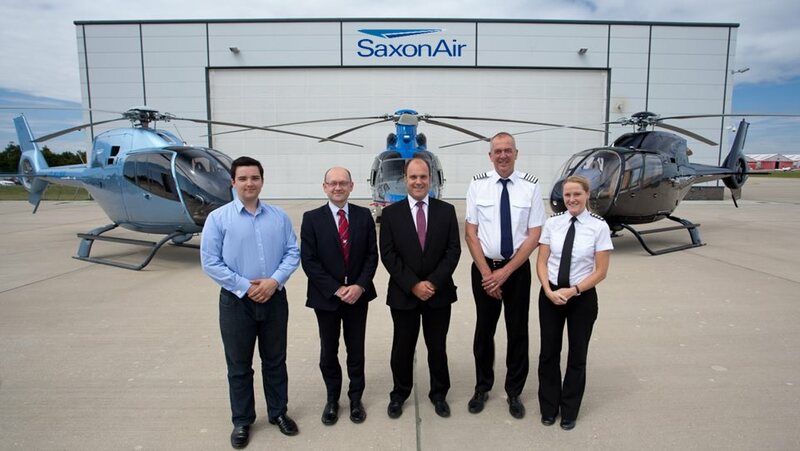 Specialist aviation company SaxonAir continues its growth reporting on a buoyant performance over the past year in most areas of the group. 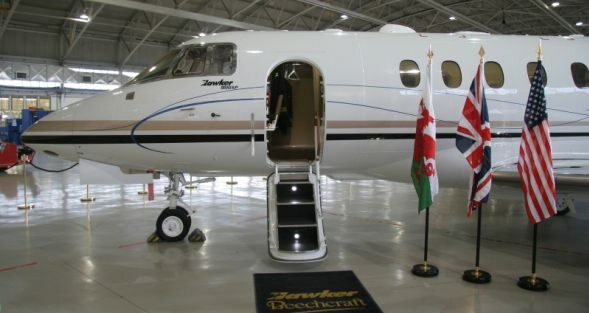 Since the company was founded in 2007 it has grown year on year with new charter and managed aircraft being added to the fleet, flight support contracts won through its Business Aviation Centre headquarters and increasing numbers of aircraft sales and acquisitions brokered. 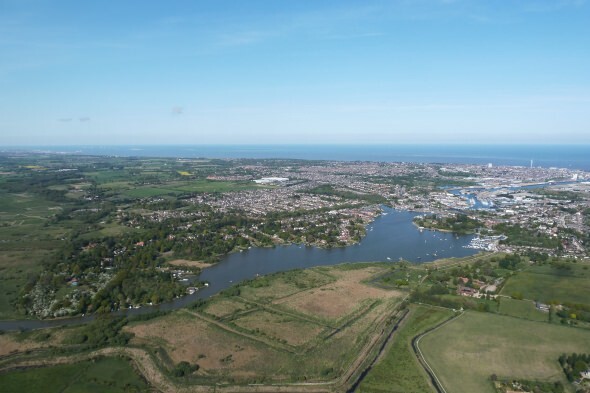 The group collectively increased turnover by 32% compared with the previous year to over £13 million GBP in 2015, whilst welcoming over 20 new staff to deal with the growing demands within the organisation, providing a great platform for further drive into new business for the future. 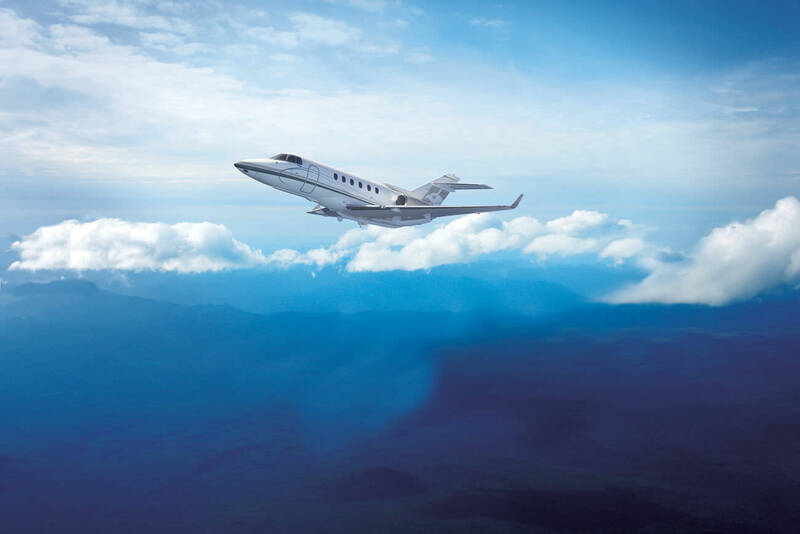 SaxonAir provides a range of aviation services including private jet charter, aircraft management, helicopter charter & utility surveillance, aircraft sales & leasing, flight support and ground handling. 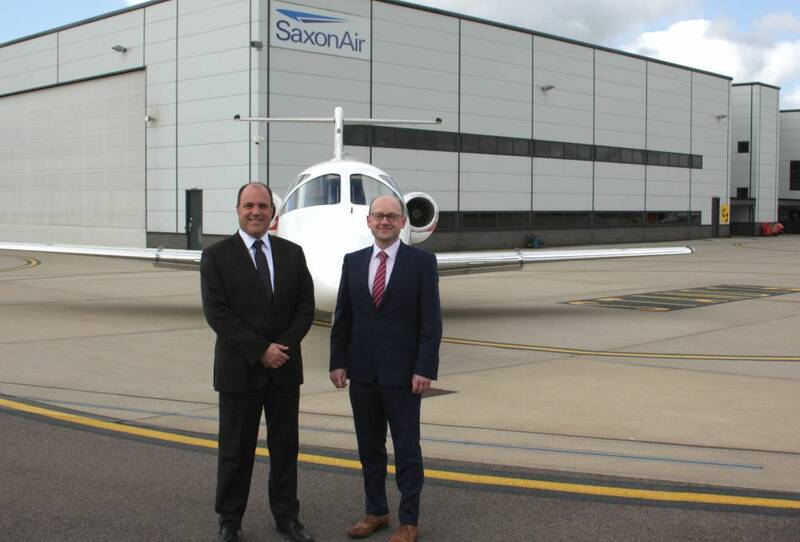 As well as expanding through its Norwich head office, SaxonAir have increased their operational bases across the UK with aircraft also located in both London Stansted and Luton airports. 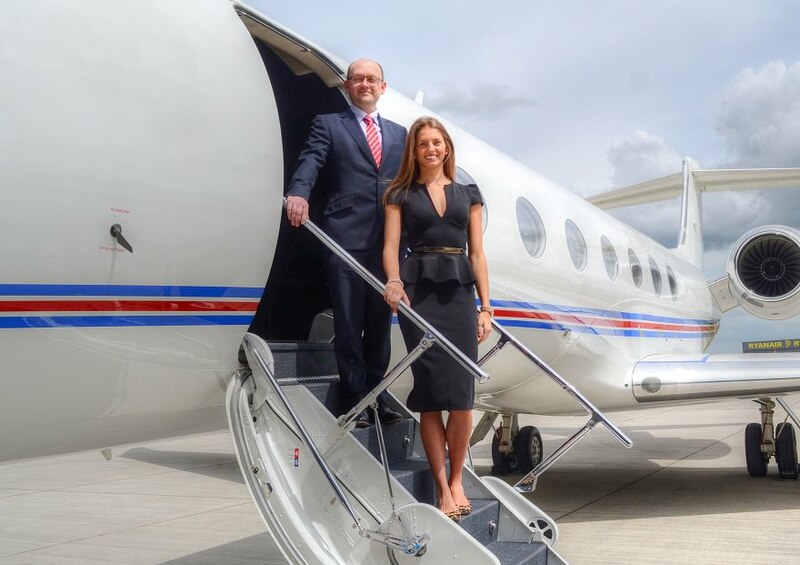 Chris Mace, SaxonAir’s Group Commercial Director says “Our private air charter service has become increasingly popular for business travellers; it’s a recognition of the convenience and time saving abilities that can be achieved by flying privately. 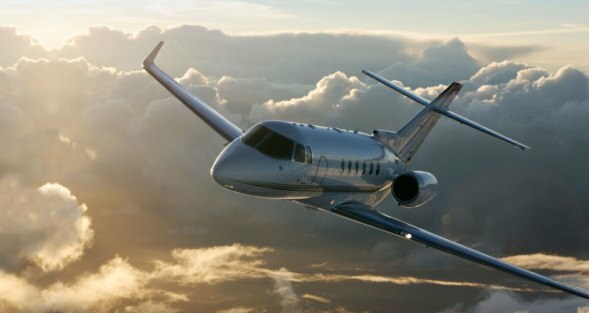 Air charter has the ability to turn days into hours, making valuable business sense.” The modern and diverse SaxonAir aircraft charter fleet flew almost 2,500 flight hours in 2015, a 13% increase from the previous year and equates to flying over 27 times around the world. 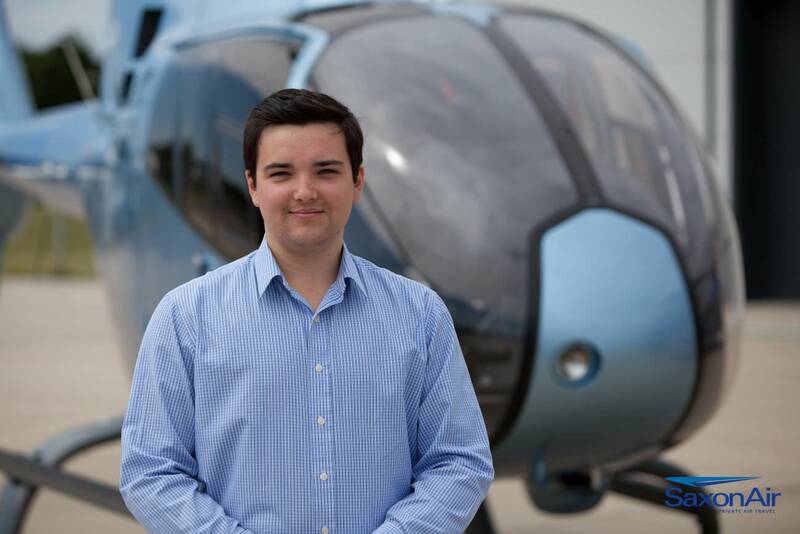 SaxonAir has also seen the positive benefit in investing into the younger generation, having now provided 7 apprenticeship’s within the organisation. This commitment has recently won SaxonAir the Apprenticeship Employer of the Year 2016 in the small to medium size business category by the City College Norwich National Apprenticeship Awards. SaxonAir have recently been awarded Apprenticeship Employer of the Year (Small to Medium) at the City College Norwich Annual Apprentice Awards. 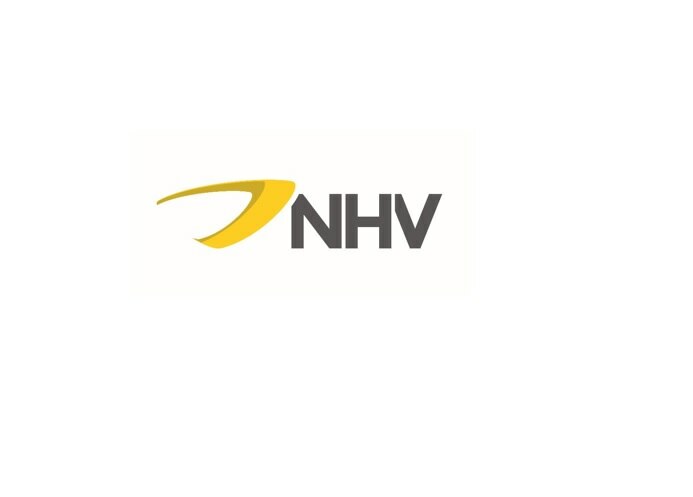 SaxonAirs tenant customer NHV operate under it’s new brand as of December 2015. The rebranding process started shortly after the acquisition of the Blueway Group last year. 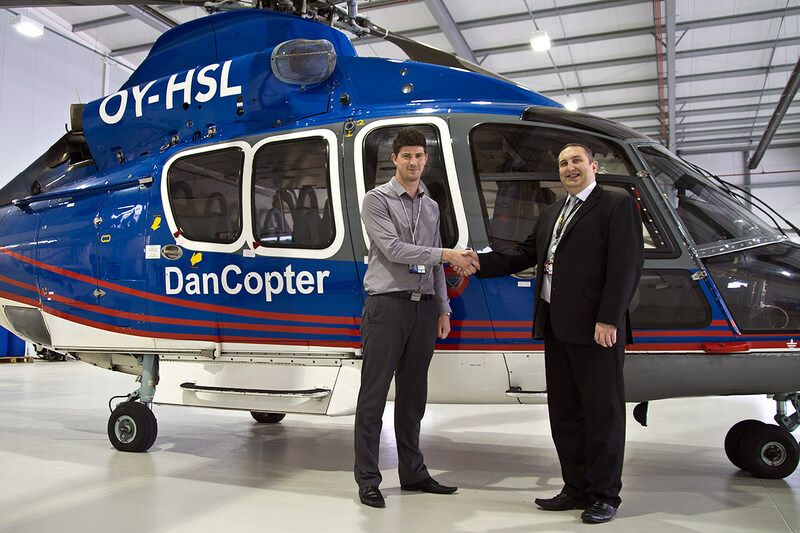 As a result NHV doubled in size and has become a considerable player in the global helicopter services industry. The new brand reflects the unification of the two groups. The new NHV brand is founded on its original core values of: Safety, Transparency, Ownership, People and Partnership. The rebranding includes a change in the visual identity. A key element in this makeover is the new logo. The logo redesign reflects the groups’ evolution from a small-scale helicopter operator providing maritime services for the local harbor to an international group providing a wide range of helicopter services to our partners. 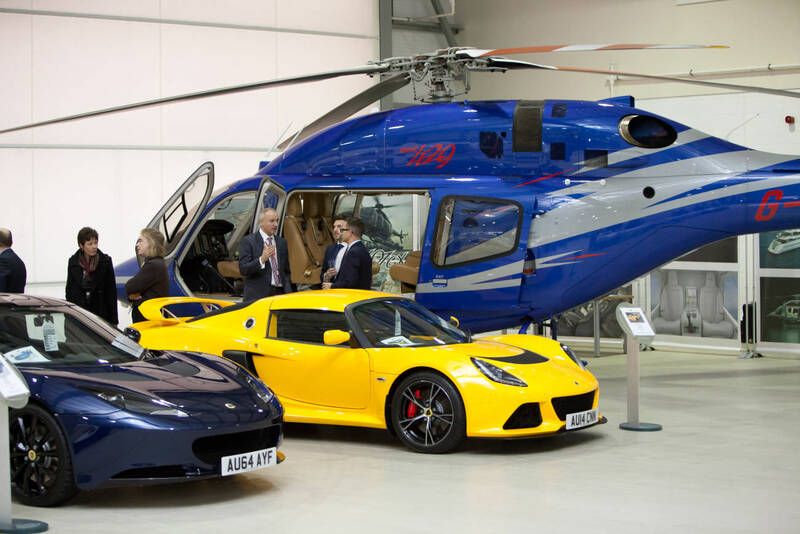 SaxonAir Helicopters donated one of our Helicopter Pleasure Flight vouchers for an auction raising money for the Teenage Cancer Trust. 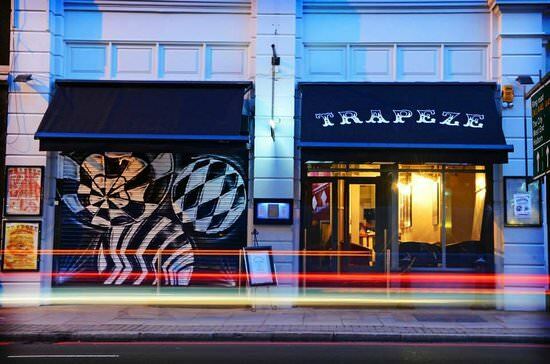 The Glass Half Full’s ‘Upside Up’ event, hosted at Trapeze Bar in Shoreditch raised a total of £8,000, we are very pleased to have been a part of it. 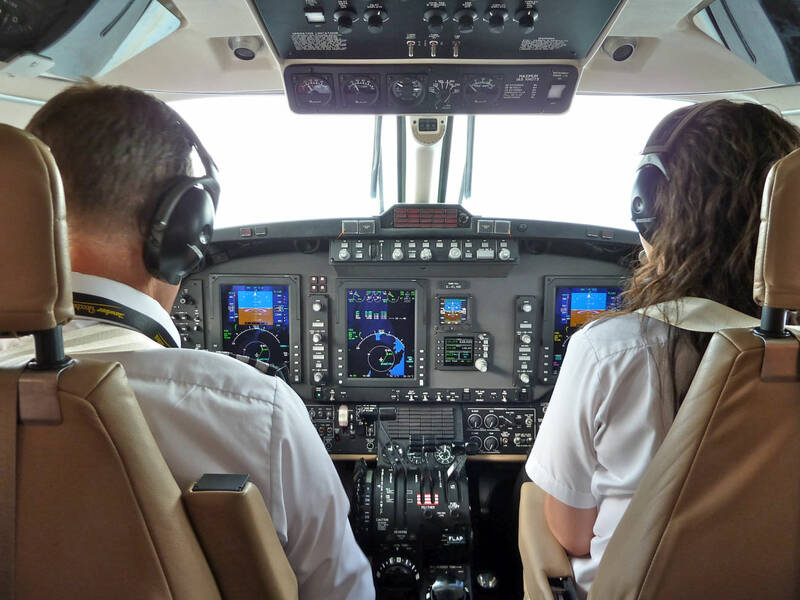 SaxonAir Charter Ltd, one of the leading UK based private air charter companies has invested in enhanced training for their crew on in-flight health and safety. The training ensures all staff on board are able to better deal with any illness or injuries that may arise mid-flight, in addition to their standard crew training. 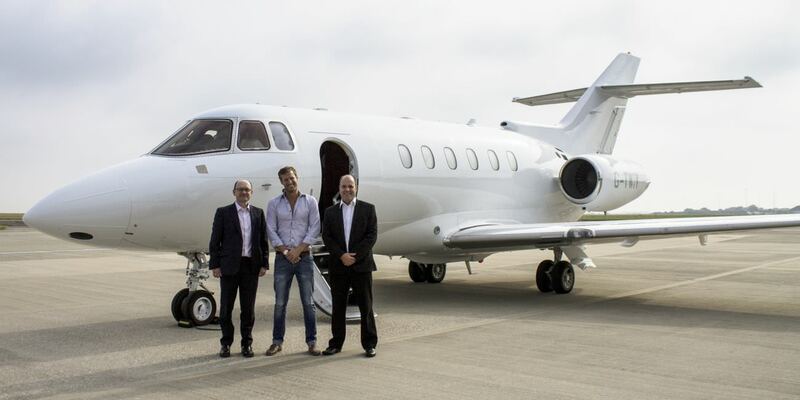 The course was held by MedAire, a health and safety company for crew of airlines in business aviation and yachts, and the crew qualified after a period of intense training at Inflite Jet Centre, Stansted Airport. The course taught crew members the skills to successfully and confidently respond to medical events before, during and after a flight, integrating first responder training with the medical kits that are available on board an aircraft and is taught by instructors from medical, triage & aviation backgrounds. In addition to the course, SaxonAir made it their highest priority to purchase defibrillators for their longer range aircraft ensuring maximum safety to all passengers and crew. This is not a standard requirement in the industry so the company is proud to be one of few to have invested in this equipment. 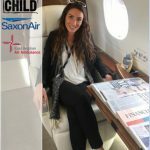 Pilots and flight attendants of SaxonAirs midsize & heavy jet fleet are now proficient in dealing with illness and injury in many areas including; CPR techniques and AED use, hypoxia signs and response, altitude physiology & trauma management. 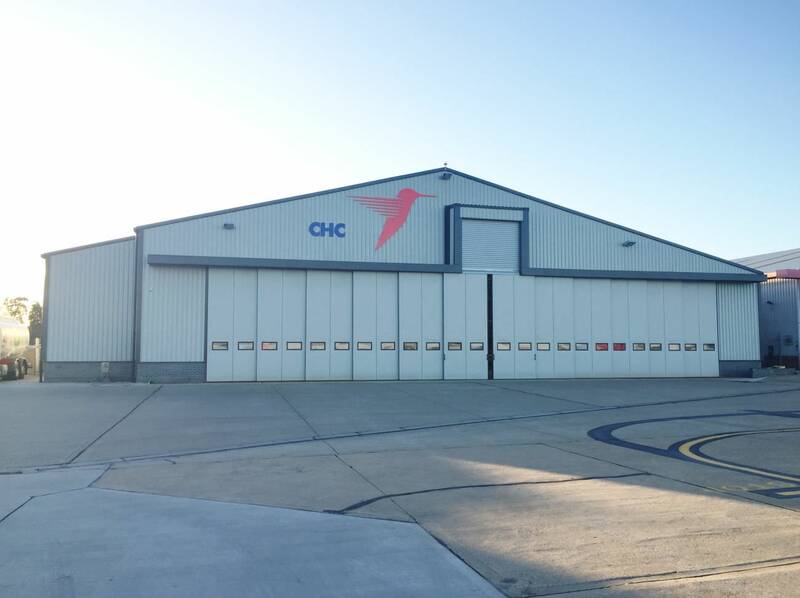 SaxonAir tenant CHC Helicopters are now displaying their company logo on Hangar 11 at Norwich Airport representing their main base for the Southern North Sea. 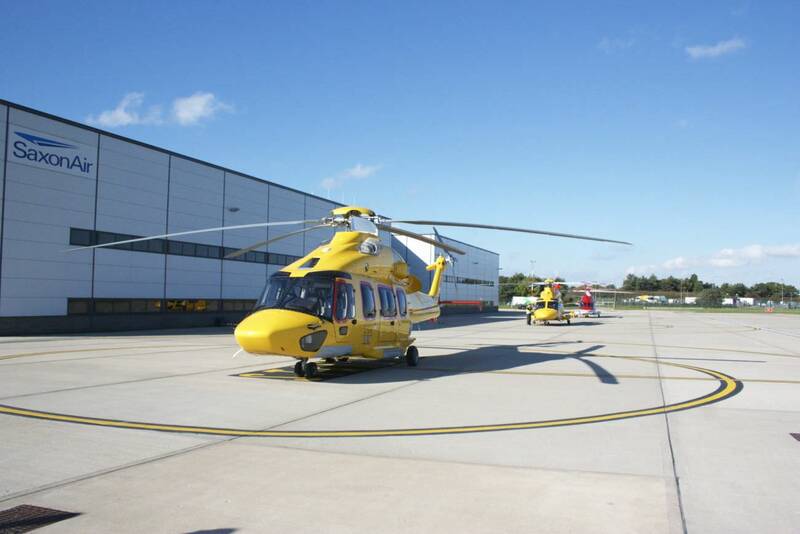 SaxonAir’s tenant offshore helicopter operator NHV showcased their new H175 helicopter at our business aviation centre this morning when it visited Norwich Airport on it’s way up North. 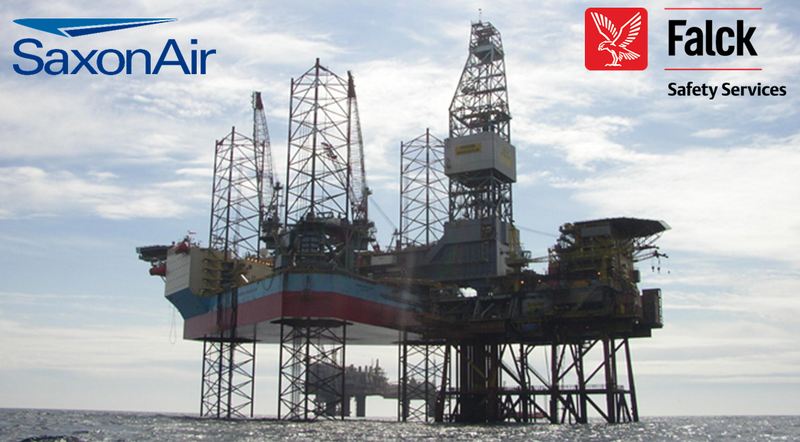 The aircraft will operated from NHV’s base in Aberdeen. 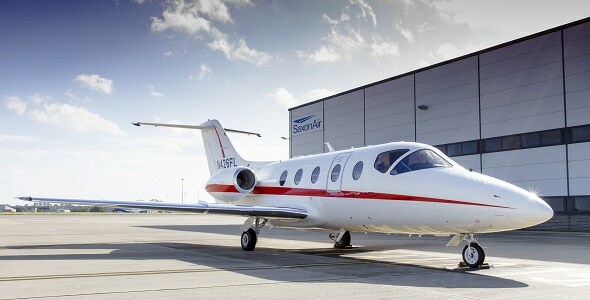 Private air charter operator SaxonAir announces the addition of a Hawker 750 midsize jet to their aircraft fleet. The Hawker began operation in late June following a joint management partnership with London based air concierge company The World Is Yours. 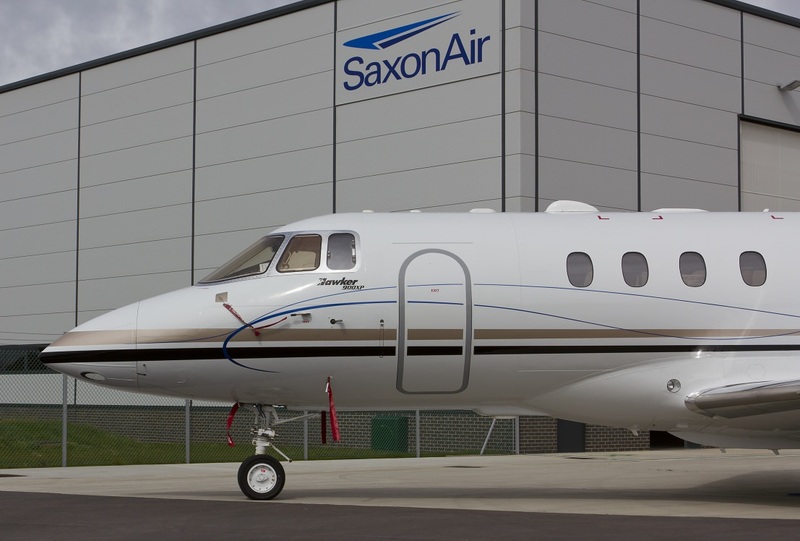 The Hawker 750 will be based alongside SaxonAir’s existing Hawker 900XP and 400XP fleet in London Luton, serving to the ever growing London air charter marketplace. London Luton is now one of the top 10 busiest private jet airports in Europe and acts as SaxonAir’s main operating hub airport. 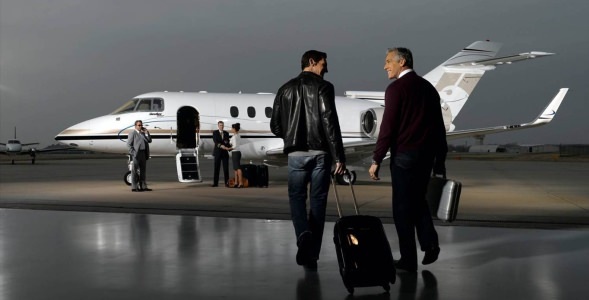 The Hawker 750 has a similar executive interior layout and large cabin oval design to the Hawker 900XP with additional advantageous external luggage capacity. The aircraft has recently been refurbished throughout with a luxurious, light interior seating up to 9 passengers with hot food capability from the well-appointed galley area and bright glow white external paintwork.